While watching a great sports movie, it wouldn’t be surprising if you happened to gloss over the scandal aspect of the plot. No one goes into these movies looking for the controversy, but that doesn’t mean it isn’t there. Take for instance, Spike Lee’s 1998 basketball drama, He Got Game. This film focuses on the immense pressure of being the country’s No. 1 high school recruit. Everyone wants a piece of you — everyone’s trying to tempt you. But the scandals within this film and right at the forefront. 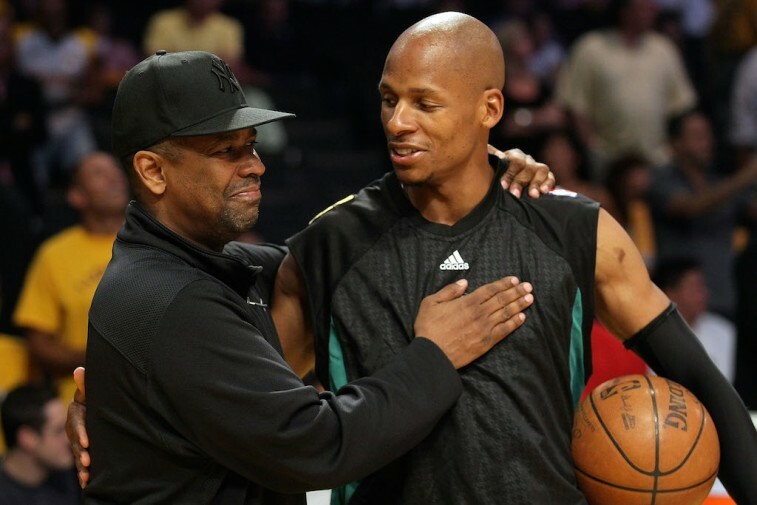 Jesus Shuttlesworth (Ray Allen) is tempted at every turn; not just from agents offering him good, but more importantly, from his estranged father, Jake (Denzel Washington). Shuttlesworth is such a game-changing basketball prospect, that the Governor of New York allows for the temporary release of Jake from prison, with the hopes that he can convince his son to attend the politician’s alma mater. Could you imagine if this happened in real life? The press would be up in arms. After all, there’s nothing quite like a juicy story (case in point, with Deflategate). That’s the luxury that comes with movies. As far-fetched as things may seem, as grossly exaggerated as events may appear, films can push the boundaries of scandals because the consequences aren’t real. He Got Game is merely one example of this, and the list goes on and on. So with that in mind, let’s take a look as some of the other classics. Opinions may vary but, for us, here are the five most scandalous sports movies ever. Pete Bell (Nick Nolte) may be a tough and grumpy old-school basketball coach (think Bobby Knight), but he’s still a man with convictions. He’s spent his whole career trying to run a clean college program, and he has no intention of compromising his values. Of course, when the pressure to turn the team around gets too much, Bell knows the only way to get the country’s top recruits is to pay for them. Blue Chips all about how far you’re willing to go to win. And once you’ve made the decision to cross that line, are you able to live with yourself? As a loyal basketball fan, how far would you go to ensure your favorite team won the NBA championship? Would you kidnap the opposing team’s best player? No? That’s why you don’t have Celtic Pride. In this 1996 comedy, Mike O’Hara (Daniel Stern) and Jimmy Flaherty (Dan Akroyd) love their Boston Celtics so much so, that they hold Utah Jazz superstar Lewis Scott (Damon Wayans) hostage in order to keep him out of the finals. Just remember this: Prison is temporary, but NBA championships last a lifetime. College football is no joke. And that especially holds true if you’re at a perennial powerhouse. David S. Ward’s 1993 sports drama, The Program, takes you into that world. This film has scandal after scandal after scandal. Aside from the underage drinking, and Heisman Trophy candidate Joe Kane’s (Craig Sheffer) struggle with alcoholism, the athletes in this movie are involved in cheating, sexual assault (and its cover-up), and steroid use. There is a lot of pressure in this particular environment and everyone’s trying to find the balance between doing what’s right, and doing what’s right for the program. Let’s just say, it’s intense. If you’ve never seen the baseball comedy Major League, you really have no idea what you’re missing. As if the people of Cleveland hadn’t suffered enough at the hands of their sports teams, now the must endure an Indians team made up of the most absurd bunch of ragtag misfits ever assembled in the history of Major League Baseball. Seriously, this is a team made up of washed up has-beens, an ex-con, a speedy no-name, the intimidating Pedro Cerrano, and others who just don’t belong. Of course, that’s what the new owner wants. She wants this team to lose — and lose badly. That way she get relocate the organization to Miami. When the plot is uncovered, there’s only one way to stop her: Win.